Failed to instantiate [java.util.List]: Specified class is an interface in HTTP controller handler? And the error thrown at runtime is Failed to instantiate [java.util.List]: Specified class is an interface. Solution to the problem is to @RequestBody annotation to the method definition, so the following will work. Now do a new build and the application should be able to start. CommandLineRunner is an interface which allows us to write code that would be executed when the SpringBoot Application is initialized and before the startup is finished. This project uses Maven to build the project. It shows a very simple example of a Spring boot Application and two Classes implementing CommandLineRunner. Next we will provide two Classes which implements CommandLineRunner interface. 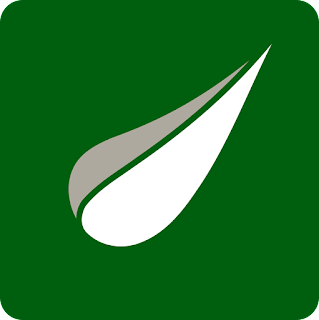 This blog shows how to use Thymeleaf as a template engine with Spring boot. This project uses Maven to build the project. It shows a very simple example of a login page with corresponding Spring boot controller. The goal of this project is to have a login page rendered using Thymeleaf template. The template it self uses the bootstrap css for styling. This article covers the steps that needed to install Apache Couchdb on Google Cloud Platform. There are various way of how to achieve this, that is having a Compute Engine (VM) installed with Couchdb. 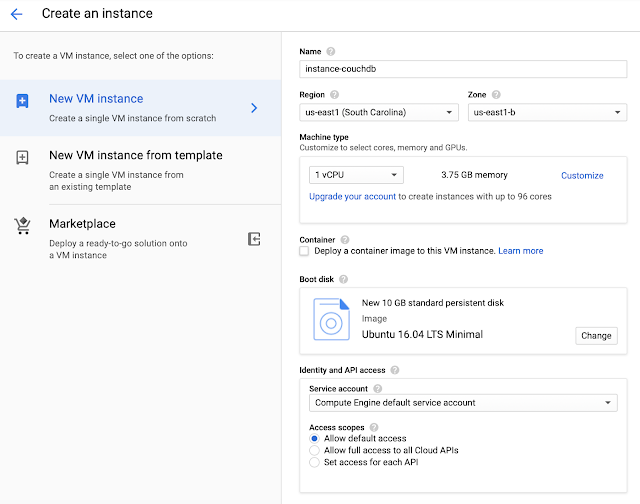 One option is to use the the Marketplace in GCP which offers quick option to deploy on Cloud Platform. Login to GCP and click on the Marketplace Icon and then search for CouchDB. Although we would still need to perform some additional steps like Creating Firewall Rule etc so that we can access the instance after getting VM with CouchDB installed from Marketplace. Rather than using the Marketplace, we would do everything manually on the VM Instance. 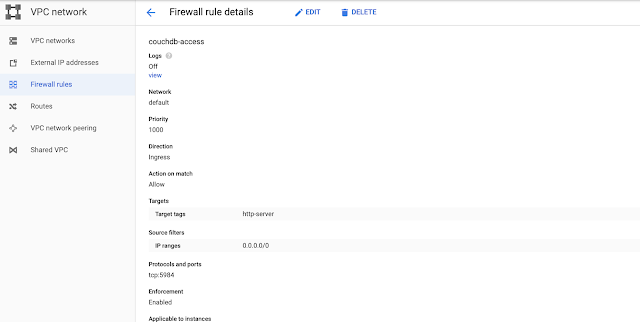 Following are the steps in details that i had to take to lunch an instance of CouchDB, do configuration update and create Firewall Rules to allow access to the instance. 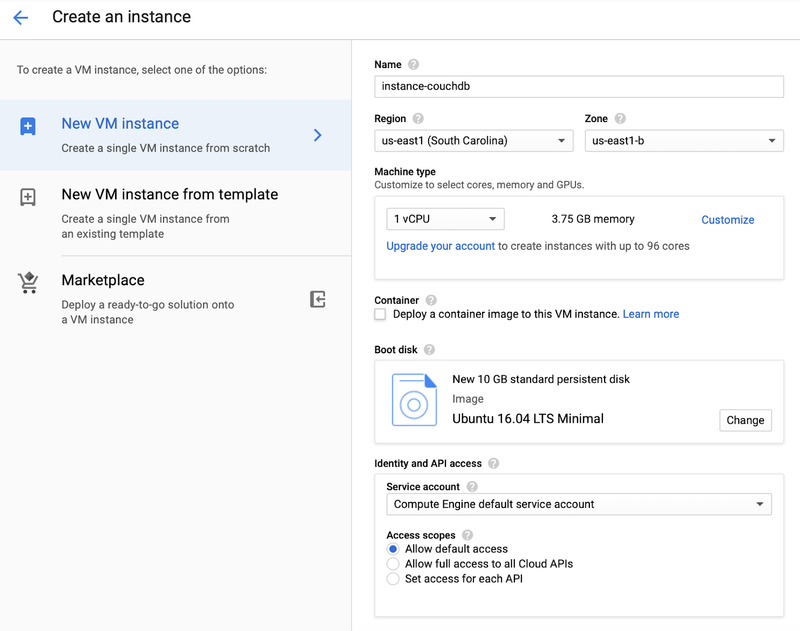 Create Google Cloud compute Engine instance. SSH to the VM Instance. Before installing the Apache CouchDB we will install some useful software that we would need like nano editor. Following commands are useful to check the status of CouchDB instance, start it and stop it etc. Normally the CouchDB listens to port 127.0.0.1 which is localhost. 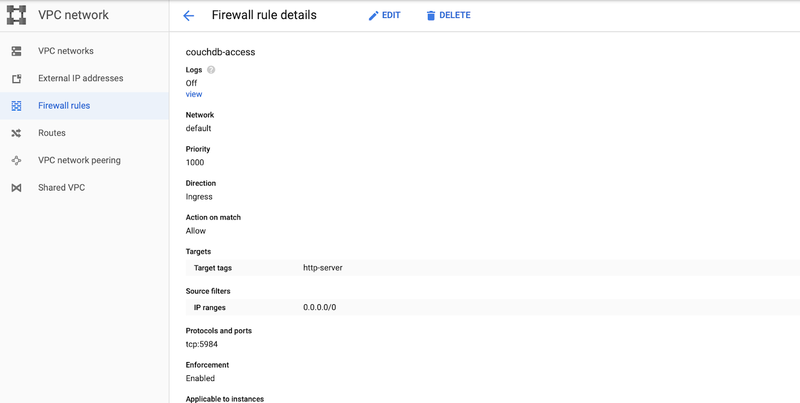 We will now add a new Firewall rule to allow access to the VM on which we have CouchDB installed. Private method in java is not accessible outside the Class which defines it. Since they cannot be accessed we cannot call them from any Test Class directly to test them. 1) Change the visibility of the private method to package or protected. Above two solutions requires us to change the original Class. Some times we cannot change the original Class but still would like to have a Test Class for the same method. The other option is to use Reflection api to invoke the private method.